Tracker: First Look is, well, as the title implies, it’s a first look at the comic Tracker. 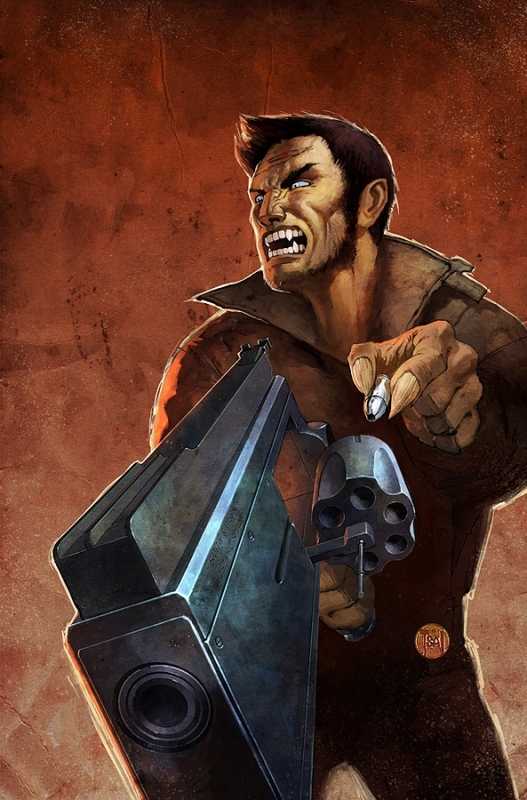 Written by Jonathan Lincoln and illustrated Francis Tsai, Tracker: First look was originally a limited edition previously available only at San Diego Comic-Con. But, it is now available online and on mobile devices for free! Yay free comics! Tracker: First Look takes readers into a world of werewolves and serial killers unlike anything you’ve seen before. Tracker tells the story of an FBI agent named Alex O’Roark, whose pursuit of a serial killer leads him to unexplored territory. I loved Francis Tsai’s artwork in Tracker: First Look! Both the cover and the comic itself is her work and it was phenomenal. 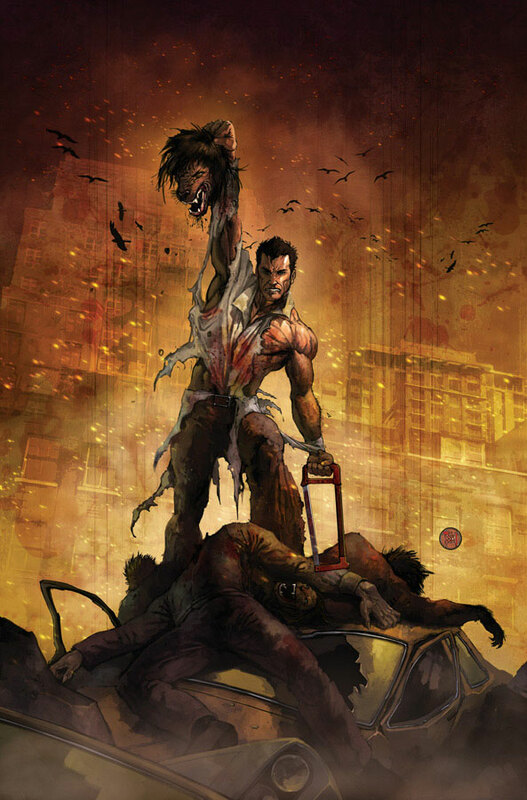 It was dark, grungy and perfectly fitting for this twisted horror comic. Some panels were sketchier, while others were more polished, which added a nice balance and tone to the comic. I really enjoyed the story shown in this preview, it was perfectly captivating. Instead of yet another werewolf tale featuring a ferocious beast that kills at random, Tracker tells the story of an intelligent serial killer with a plan. Every kill is a brutal massacre that involves multiple people, yet he is never seen. Also, he leaves a clue at every crime scene that hints at who his next victims will be. It’s a thrilling story that involves a scheming werewolf killer, not a mindless one. Overall I really loved what I saw in Tracker: First Look and suggest it to anyone who digs horror comics with a bit of mystery. Tracker is a five issue comic book miniseries written by Jonathan Lincoln with art by Francis Tsai, Derec Donovan and Abhishek Malsuni. You can find the First Look and Issues 1-5 over HERE at Comixology. Have any of you read Tracker? If so, what did you think?